Royal Caribbean International announced that Michelle Ryan has been appointed Regional Sales Manager for Ireland, following Michaela Banks’ promotion to Key Account Manager in June of this year. Starting on 25th October, Michelle who will report to Jennifer Callister, Head of Ireland, will be responsible for managing the retail sales in the Republic of Ireland and Northern Ireland. She will work closely with travel agents to ensure that they are equipped with the latest knowledge and collateral to help support their cruise business and find the perfect Royal Caribbean holiday for their customers. Commenting on her position with Royal Caribbean International, Michelle said: "I am thrilled to be joining the Royal Caribbean team. I feel it is the perfect fit and I am excited about building my knowledge and insight within the Irish travel industry and working even closer with both agents and suppliers. Royal Caribbean is a brand that I have always greatly admired - I can't wait to join the team and support business growth and brand awareness even further in the Irish market." Michelle brings with her a wealth of experience earned across her seven year career in the travel industry. During that time, Michelle has held the position of Senior Account Manager for TravelMedia.ie TTR, where she has spent the last seven years in a number of key positions representing both national and international clients in the Irish market, and as well as acting as Roadshow Manager for the TTR Travel Industry Roadshow. 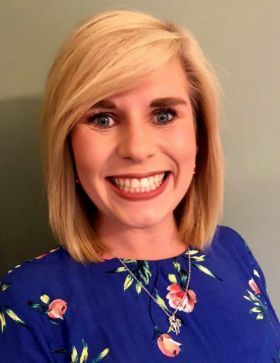 Michelle will be based in Dublin and the Ireland team will continue to be strongly supported by the cross-functional network based in the UK office in Weybridge, led by Holly Wilkinson.